If you would like to add the ability for your site visitors to ask questions and receive answers from other people on your website, or even create a complete question answer destination like StackExchange or Yahoo Answers then you will need a WordPress theme or plugin which can add this functionality. Question and Answer websites have been around in some form since the start of the internet, from forums and chat rooms to the more modern sites like Quora, the internet is built around knowledge and people use it daily to seek help and provide help to others. It’s fully possible to build a website in an area you are passionate about to help people with the same interests and it’s also possible to gain an income from running such sites. To be successful in creating a Q&A website, you should have a passion and knowledge about the subject you choose for you site. These types of websites are hard initially to get going as you need to build traffic and members who are both asking questions and answering them, so at the beginning you will find that you will have to spend a lot of time yourself answering questions as you don’t currently have the membership base to carry it by itself. However once you have a good amount of content and regular members, you will find the site begins to take care of itself – more activity creates more content for the search engines to pick up, which in turn generates more activity. 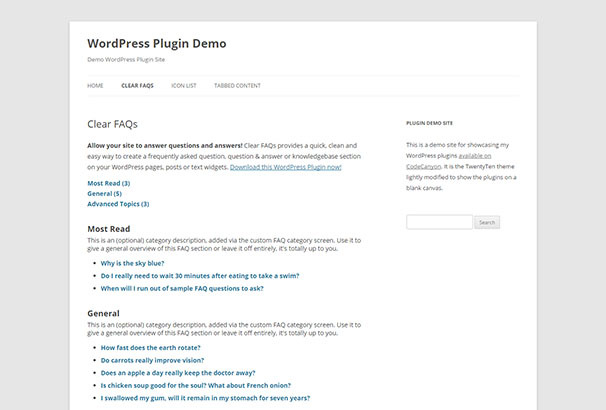 We have gathered together all the best WordPress Question & Answer Themes and also the top plugins to help you add Q & A sections to your site – we have also included options for adding FAQs, Knowledge Bases and more. 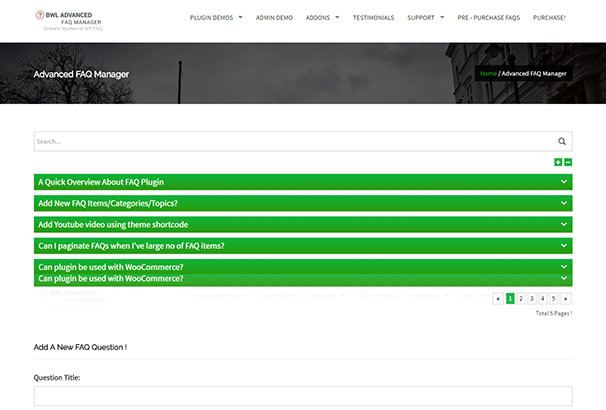 QAEngine is a simple yet all inclusive Q&A theme for WordPress. QAEngine comes with a Point and Badge system, user roles and permissions and modern attractive layout design. 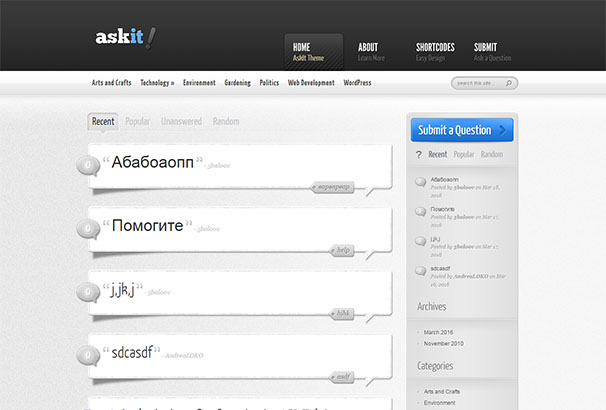 The AskIt WordPress theme is an advanced tool to create your question and answer website. The AskIt theme allows you to create a website where visitors get to ask questions and other visitors provide the answers. Users can vote on the answers and the author of the question can choose the correct answer among the top voted. The theme comes in 7 different color schemes to give you the exact look you want. The beauty of the Answers WordPress theme lies in its simplicity. Available with an “Easy-Install” option, once you activate Answers, the theme takes care of all the configuration and settings and transforms your site into the Q&A portal you had wished for. The theme also comes with sample content which makes it one of the most popular Q&A WordPress themes on the market. The KnowAll theme for WordPress can be a perfect tool to setup an FAQ page or website for your business. Once installed, the theme feeds off your created knowledge base and provides your customers with critical answers without them having to go through a support and ticketing system. KnowAll can be customized easily without any code change and its related content options make it one of the most loved themes of its kind. Powered by the Heroic Knowledge Base, InstaAnswer is a minimalistic yet amazingly fast FAQ WordPress theme. InstaAnswer’s blazing speed can get you live search results in seconds and get related searches and information even as you type the query. For those difficult to resolve queries, the page comes with a ticket submission option as well. 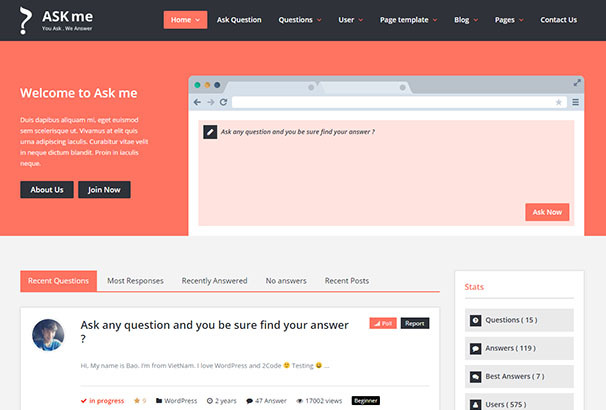 Ask Me is a fully responsive Q&A theme for WordPress that you can use to transform your website into a knowledge portal or a wiki. 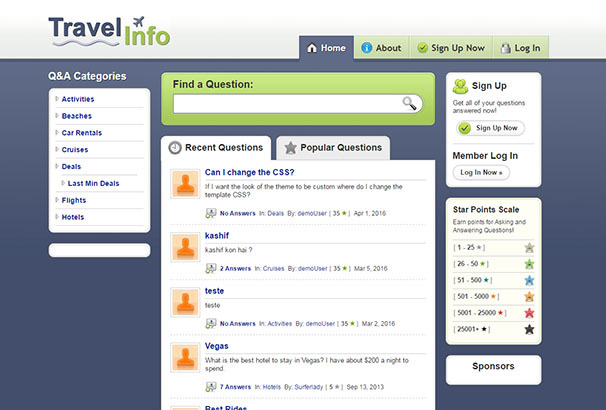 The theme provides separate pages for questions and answers and support for user profiles as well. Ask Me is extremely customizable providing you with a huge number of layouts to choose from. The Robust Q&A theme is for websites that are looking for a bit “extra” from their theme. The Robust Q&A theme provides you with secure login, re-Captcha spam control, question tagging to categories, voting the correct answers, possibility to choose the best answer from many, user leaderboards, content reporting and much more. It also has built-in translation facilities to support users asking questions in other languages. On top of all that, Robust Q&A is fully responsive which is the perfect icing on the cake. 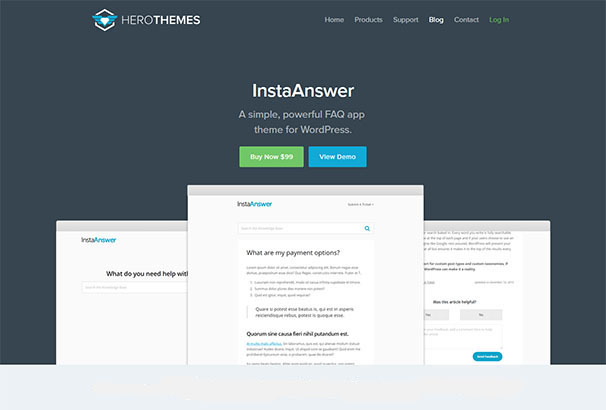 Instant Q&A the perfect WordPress theme to transform your website into a question and answer portal. The theme offers supports for question tagging, sub categories, popular questions, custom user login and sign up along with user rating systems, Gravatar integration and much more. 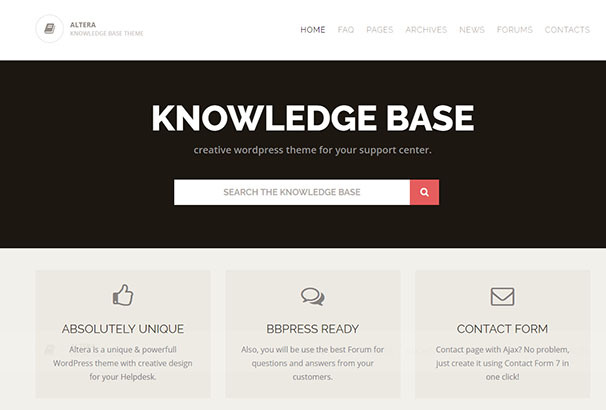 KnowledgePress is a powerful WordPress theme aimed at creating customer self-service portals and knowledge bases. With KnoeledgePress you can share FAQs, articles, extensive resources and even wikis with your clients. KnowledgePress supports live article search, social media sharing and responsive design to fully satiate the inquisitive souls. With the built-in shortcodes, you can create a simple or complex layout that perfectly represents your website or your brand. KnowledgePress can help in cutting down your support system load, ticketing and support costs by a considerable margin. 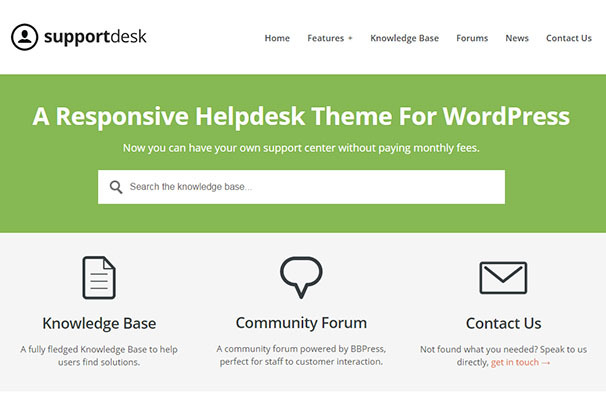 Developed on the Bootstrap 3 framework, TechDesk is the ultimate help desk theme for WordPress. You can easily build an FAQ or a knowledge base portal on top of TechDesk that will provide your clients with everything they need. TechDesk is fully responsive and SEO Ready. 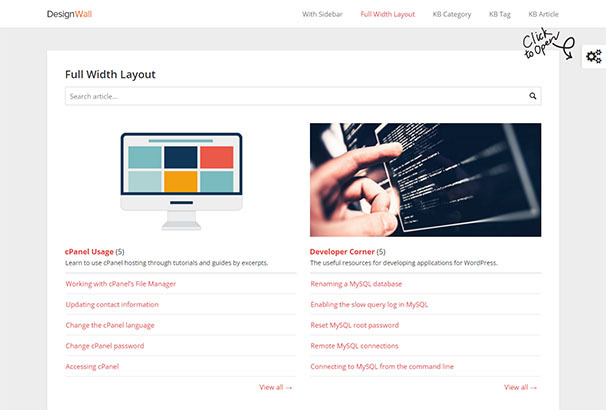 With 9 custom widgets and unlimited homepage layouts, TechDesk is the perfect partner for your requirements. 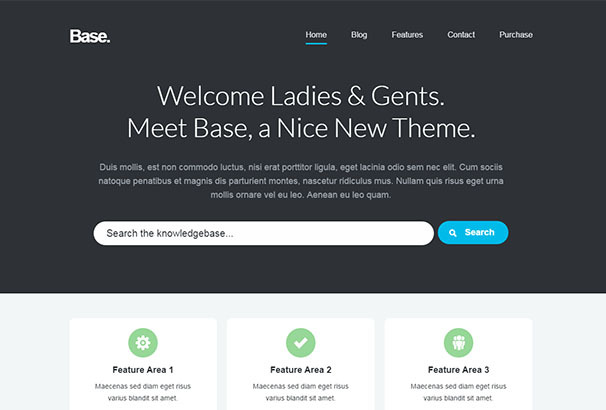 Base is a beautiful and elegant looking WordPress theme that is great for building a knowledge base or an FAQ page. Smart and intuitive, Base is great for creating a collection of information, articles or help materials. If you are not satisfied with Base, try Flatbase. This is a star entry in this list because of its tons of features and a wonderful layout to match its power. Flatbase can replace your existing support and help desk platform by providing your customers with a single point for all FAQ, support materials, articles and information. Flatbase takes the cake over many other themes thanks to its integration with bbPress. Create a forum with bbPress and allow users to communicate with support staff and each other to help resolve their queries. 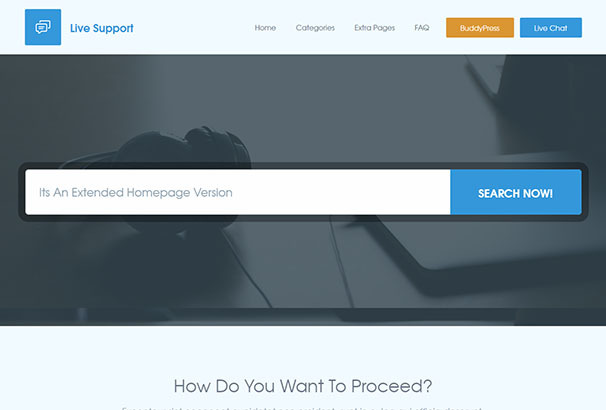 Alter the concept of a support and help desk page with Altera, the WordPress theme with bbPress support, widgetised areas, built-in shortcodes and much more. The extensive customizing that Altera comes bundled with, helps you create an amazing looking FAQ or help desk page without touching any code. 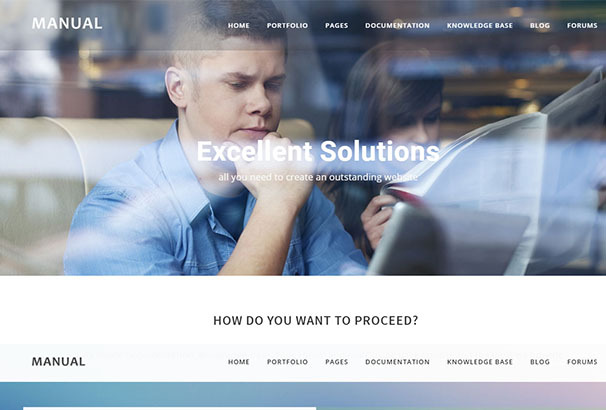 DeskPress is a WordPress theme designed to create a knowledge base portal that is extremely fast and intuitive. DeskPress comes with bbPress support to create forums, AJAX search box and support to load extensive FAQs and resources. Plus it looks very smart and it is easily customizable. 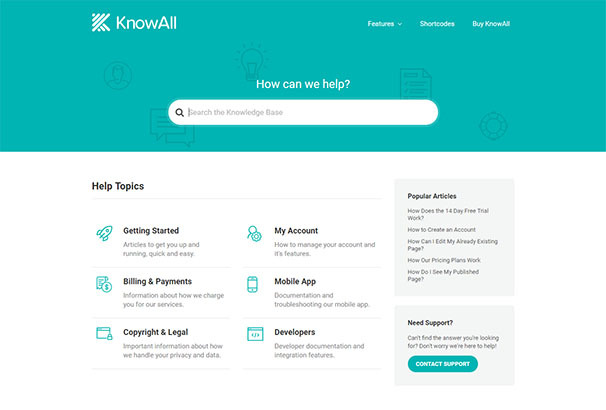 Aptly named for an online knowledge base, KnowHow allows you to create an elaborate and extensive help desk portal for your customers within minutes. 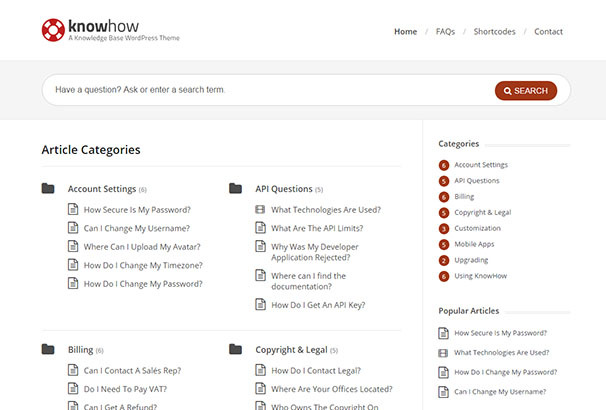 KnowHow theme is the perfect tool to create support resources for products or how to use a website. 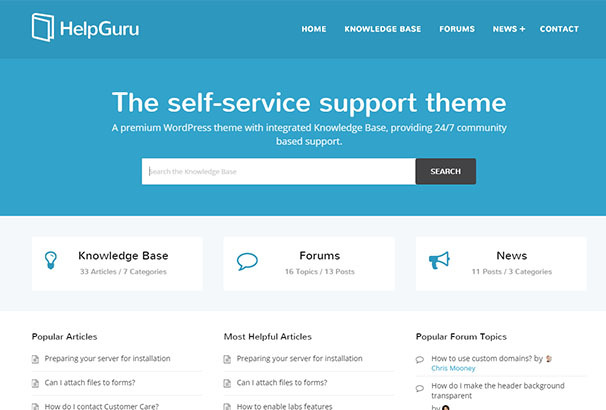 Powered by the Heroic Knowledge Base, HelpGuru is a WordPress theme to create a compelling and useful FAQ portal. HelpGuru has WPML support for multilingual questions and AJAX Live Search for blazing fast queries. It is also SEO ready and fully responsive. HelpGuru is the perfect theme to recreate your self-service support tool online. 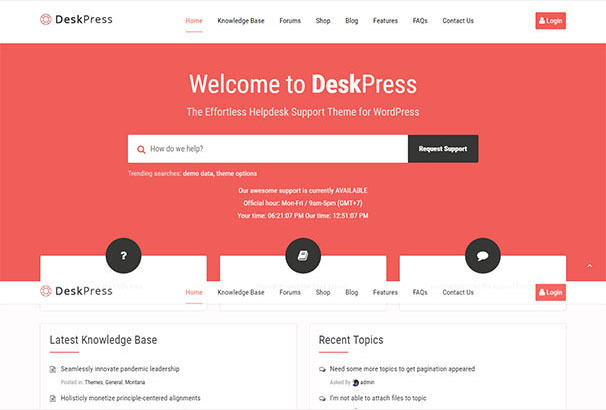 Support Desk is an online support center solution for WordPress. Creating an FAQ page and customer support system using Support Desk is extremely easy. Being a fully responsive theme, Support Desk powered websites can be opened from any device perfectly. 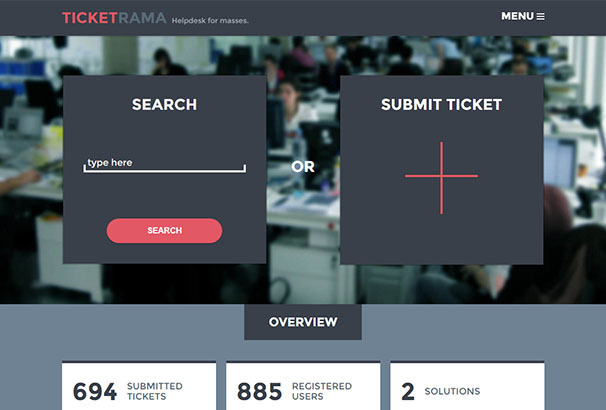 If you want to create an online ticketing and support system for users, Ticketrama can be a perfect choice. This WordPress theme is clean, easy and intuitive. You can also attach a knowledge base with it the to help users resolve their queries before raising a ticket. 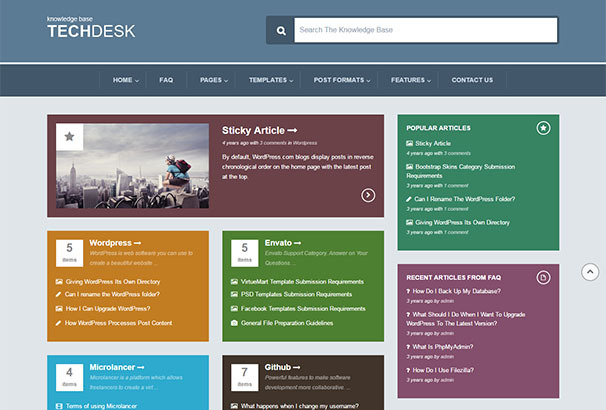 iKnowledge is an extremely elegant and intuitive knowledge base theme for WordPress. Using the fully widgetized layout of the homepage, iKnowledge lets you control all the elements on the homepage so that you can get the exact look and feel you want. And that too without writing any code. The contents of the website can be categorized for easier access and the built-in short codes can make the experience amazing for users. 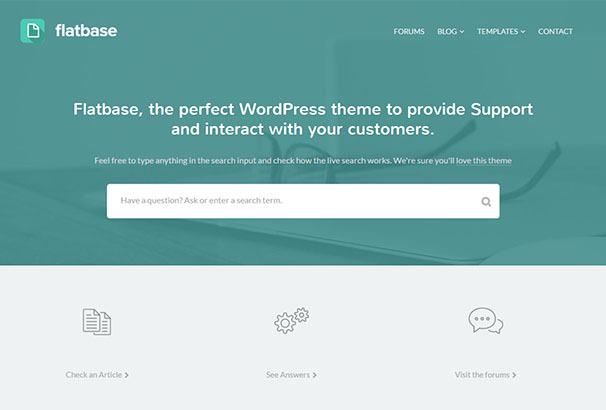 The aptly named Live Support WordPress theme is the perfect template to create a help desk or support system for your users. Websites created with Live Support template can boast of live chats, ticketing system and a knowledge base for self-service. The Manual WordPress theme is the last one on this list but definitely not the least. 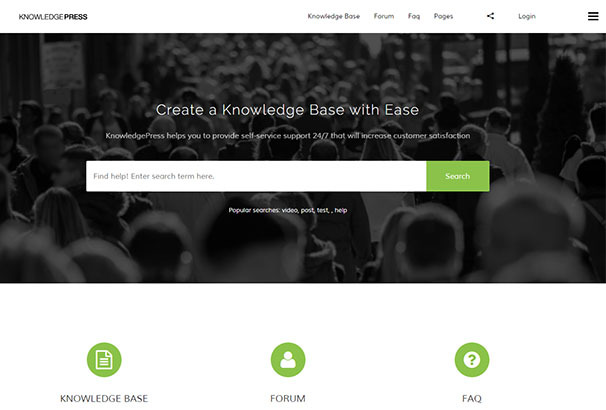 This fully responsive theme supports knowledge base, wiki or help desk websites with out breaking a sweat. With the support for a forum tool, Manual has everything you would need from a knowledge base theme. 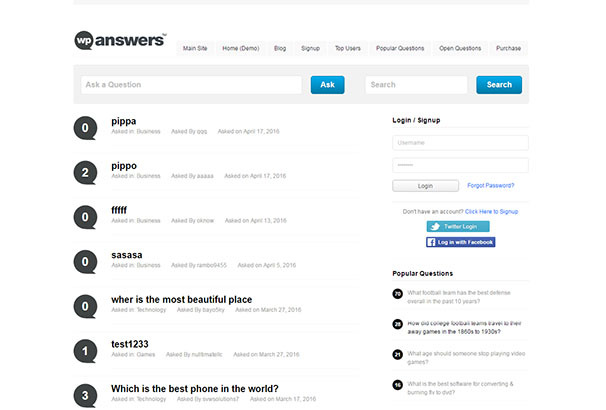 The WP Answers plugin is often considered as the best question and answer plugin for WordPress. 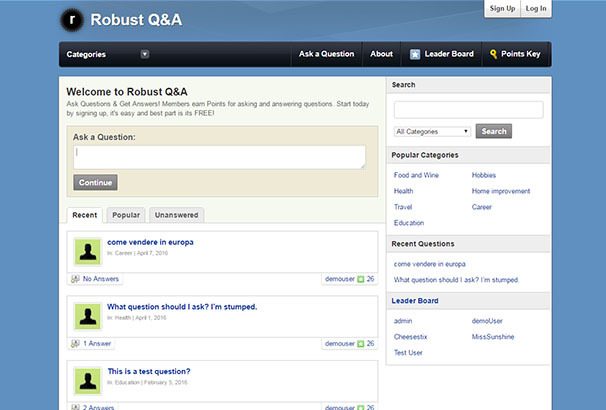 It can be used to create a stand-alone Q&A community for your users or build one on your existing website. Using this plugin is extremely easy as well. 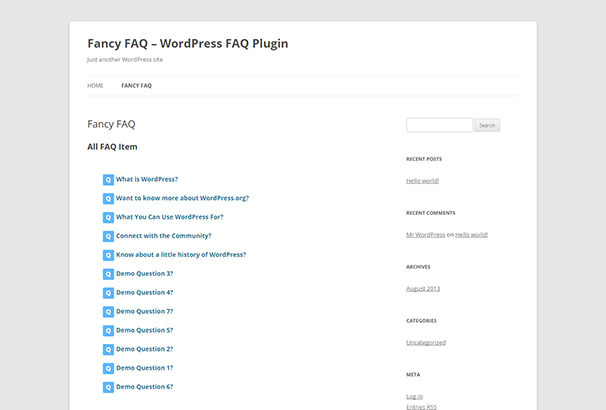 Fancy FAQ is a beast of a plugin for WordPress when it comes to managing frequently asked questions for users. Fancy FAQ can create a flawless FAQ section with proper category taxonomy that lets users easily search the answers to any question they might have. The plugin also comes with built-in short code facilities so now you can show the relevant FAQ in your page, post or a widget. Creating new FAQ categories and sections and loading more questions and answers is a breeze with Fancy FAQ. 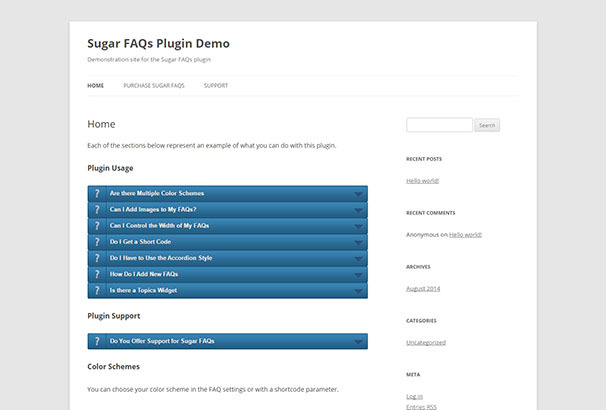 Sugar FAQs is a sweet FAQ management plugin for WordPress that can spruce up your website with beautiful accordion menus. The FAQs can be categorized into topics and then the menus can be added to relevant parts of your website with effortless ease. Adding questions and answers to the menus is extremely easy and gives off a professional look. The FAQ Tab for Woocommerce is an add-on for Advanced FAQ Manager using a jQuery plugin that allows beautiful paginated accordion menus with all of your FAQs in easily searchable lists. The addon can easily convert existing FAQs into Woocommerce supported product FAQs in just a few minutes. The drag and drop sorting make using the add-on easy and effective even if you do not know any coding. The Ajaxified FAQ Search is another add-on for the Advanced FAQ Manager that turns the already powerful plugin into an absolute beast. The Advanced FAQ Manager is known for easy searching of FAQs from a large list but with the Ajaxified FAQ Search add-on, users get multilingual support, the Ajax quick search feature for faster searches, paginated lists and much more. 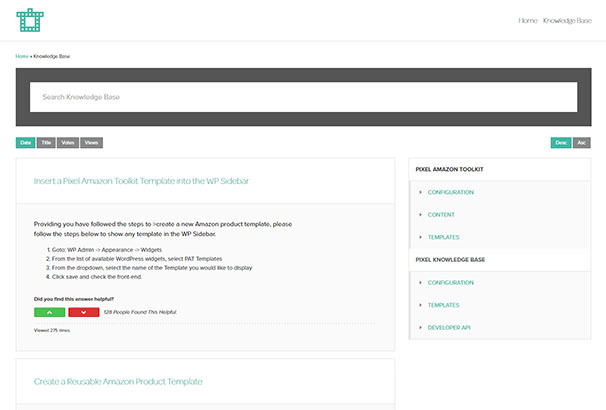 The add-on is responsive and requires no coding on the admin side as well. Color customization for menus and built-in short code support makes the Ajaxified FAQ Search add-on one of the best in its category of WordPress tools. 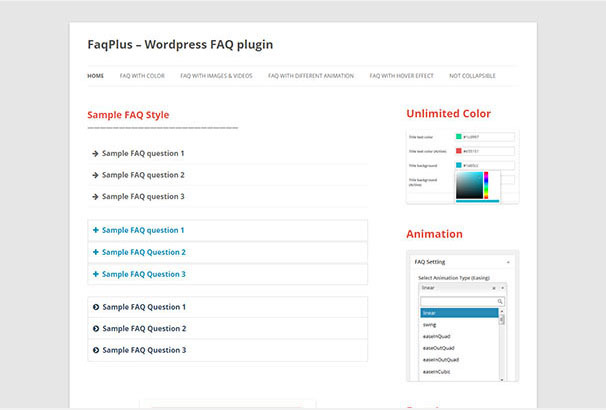 With its support for images, videos and texts along with unlimited colors and more than 25 animation effects, FAQPlus is most likely the only FAQ management plugin you will need for your WordPress site. With simple drag and drop, you can reorganize the FAQ contents and the short code facility allows you to add FAQs to any part of your site, even in the theme itself. 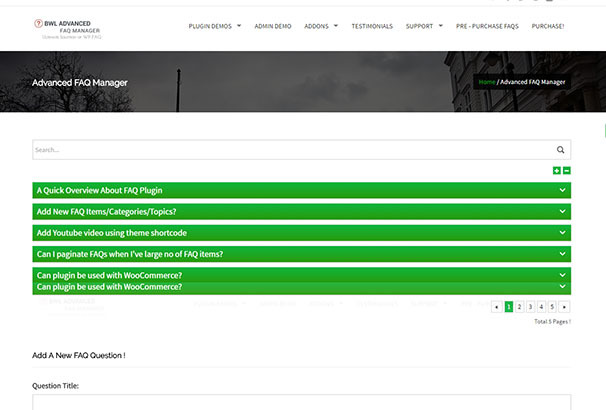 The BWL Advanced FAQ Manager is often considered to be the best FAQ manager plugin there is. Support for live searches, unlimited (yes, unlimited) FAQs, paginated accordion menus, FAQ categorizing and FAQ rating systems among others, this plugin is a delight to work with. 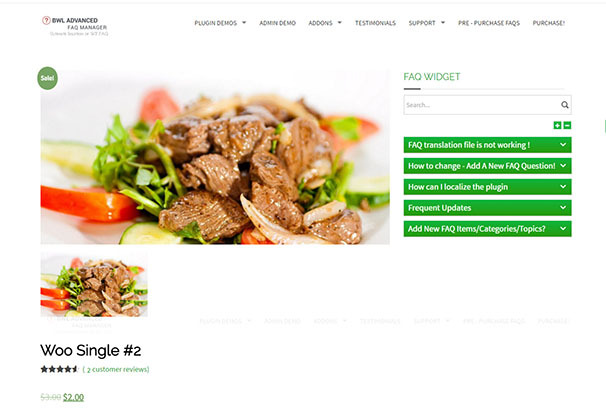 Requiring almost no configuration, this plug and play plugin is ably supported by Ajaxified FAQ Search and FAQ Tab For Woocommerce add-ons to turn your website’s FAQ management into a thing of envy. As the name suggests, the Accordion Tables FAQ manager is aimed at maximizing your accordion FAQ listing experience. The plugin allows you to extensively customize with your FAQ accordion menu until you get the exact look and feel you had in mind. 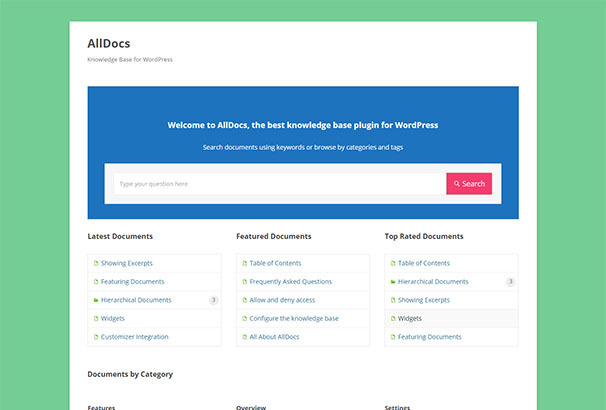 AllDocs knowledge base plugin can easily integrate into your WordPress website or your bbPress forum and offer documentation and FAQs to the users. Just load any information you would like to share and the easy search option would allow users to satiate their queries. DW Knowledge Base Pro is the plugin to go for if you want to convert parts of your existing WordPress website into a knowledge base system. The plugin offers multiple layouts, a number of features for best user eexperienceand an intuitive menu system for easy searching and reading. 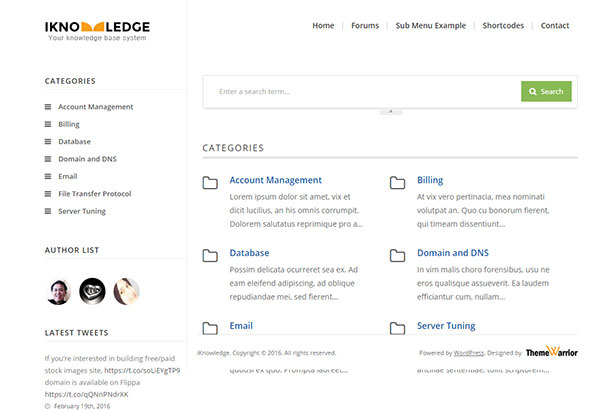 Pixel Knowledge Base is a plugin created for lightning fast searches. Use this plugin to immediately cut down on your customer support efforts and as customers search and read from a simple, elegant and responsive layout. 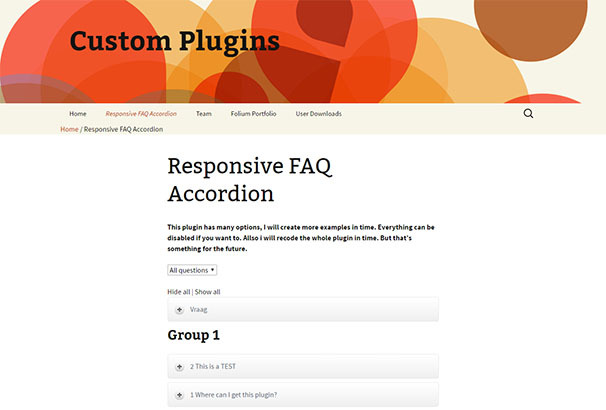 The Responsive FAQ Accordion is a perfect plugin aimed at grouping content on your website as FAQs using an accordion menu. Apart from adding your FAQ content, the plugin is also suited if you want to group other content on your website in an elegant way. Lastly, the Clear FAQs plugin is a simple, no-frills FAQ management plugin that lets you create FAQ categories and contents with ease. With this plugin, you can create an FAQ section or a knowledge base section on your posts, pages and widgets in no time. names associated with what is one of the two biggest cheap professional jerseys suppliers.